Drink to your heart’s content, but know that even moderate drinking might be bad for it. It might take less alcohol than we think to damage the heart and shorten our lifespans, suggests a new study published today in The Lancet*. For many, the threshold might be fewer than one drink a day. Using existing population data, the researchers studied around 600,000 people across 19 countries and separated them into different groups, based on their self-reported level of drinking. Then, after accounting for factors like age, education, and smoking history, they compared their levels of various conditions such as heart failure, stroke, and fatal aneurysm (a bulged blood vessel that can rupture) over a median period of 7.5 years. They also calculated the average life expectancy for each group. Mirroring past research, they found that relatively heavy drinkers were more likely to die earlier. Having 10 or more drinks per week was associated with a life expectancy one to two years shorter for the average 40-year-old compared to someone who drank up to a drink a day, while 18 or more drinks was associated with a life expectancy around 5 years shorter. The researchers weren’t able to find a clear-cut benefit of moderate drinking for heart health, though, something that other research has found. Higher alcohol consumption was associated with fewer heart attacks. But there was no level of drinking that was associated with a lower risk of other conditions like stroke, heart failure, or fatal aneurysms (bulged blood vessels), among other things. “The key message of this research is that, if you already drink alcohol, drinking less may help you live longer and lower your risk of several cardiovascular conditions,” said lead author Angela Wood, an epidemiologist at the University of Cambridge, in a statement. Studies dating back decades have suggested there’s sort of a J-curve when it comes to drinking and heart health. Drinking no alcohol is worse than drinking a little, while drinking a lot is much worse than either. But while some scientists as well as the alcohol industry have touted this research as proof that moderate drinking can keep you healthy and alive longer, other scientists have pointed out glaring flaws in the theory. Many studies didn’t account for past drinkers who quit drinking entirely when they included them as a part of the non-drinking population that was compared to drinkers. These former drinkers tend to quit partly because they were in poor health, so not separating them can skew the numbers in favor of drinking. 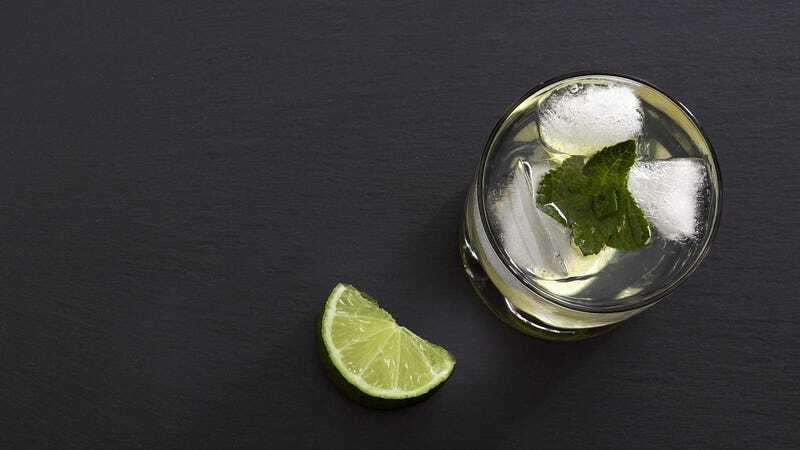 And more recent studies have found the supposed health benefits of drinking disappear once you account for those errors in experiment design (the authors of the current study decided to avoid this problem by only looking at current drinkers). Other research meanwhile has long shown that regularly drinking at any level increases your risk of cancer, especially in women—a link that a paltry number of people know exists, according to recent surveys. There’s also the problem of defining what moderate drinking actually is. The UK lowered its drinking recommendations for men in 2016, and now suggests that no one drink more than approximately one drink a day. But other countries haven’t. The US, for instance, still says that men can safely drink up to two drinks a day. The same is true in the states. According to the Centers for Disease Control and Prevention, more than two-thirds of Americans report drinking more than the recommended amount at least once a month. On a related note, the US government’s major research arm—the National Institutes of Health—is the middle of a controversy over an ongoing study intended to prove whether moderate drinking can be healthy for the heart. The $100 million NIH study, which began last year and is set to run for another five years, was largely funded through donations indirectly made by five major alcohol companies. Recent reports by the New York Times have alleged that several of the lead scientists involved in the study, as well as NIH officials, solicited these donations beforehand by implying their eventual results would vindicate the alcohol industry. Other reports have also alleged the NIH has tried to ignore or steer funds away from studies critical of the industry in recent years. *This article initially and incorrectly stated the study was published in The BMJ. We regret the error.